The thing about depression is that most of the time we have suppressed feelings, that lead them to leaking out at the worst possible times. At the same time, feeling them requires a lot of strength and courage, and involves a lot of pain and well, more pain. 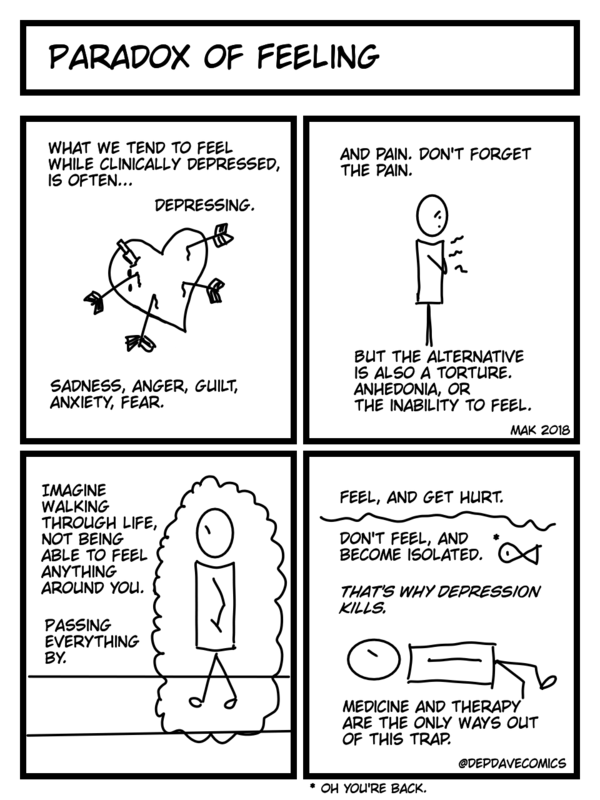 Medicines help to make the feelings less intense, but well, when you can’t feel, why live?